Mya fits wonderfully into Scandinavian styles due to its attractive combination of white fabric with a wooden frame. 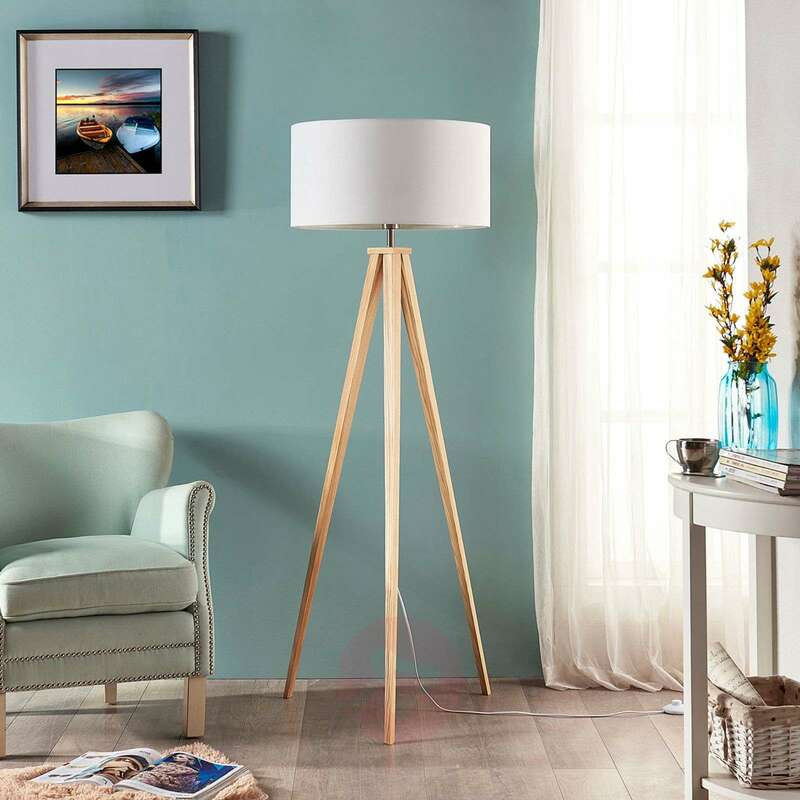 This frame has three legs and thus corresponds to a special trend which is enjoying increasing popularity. 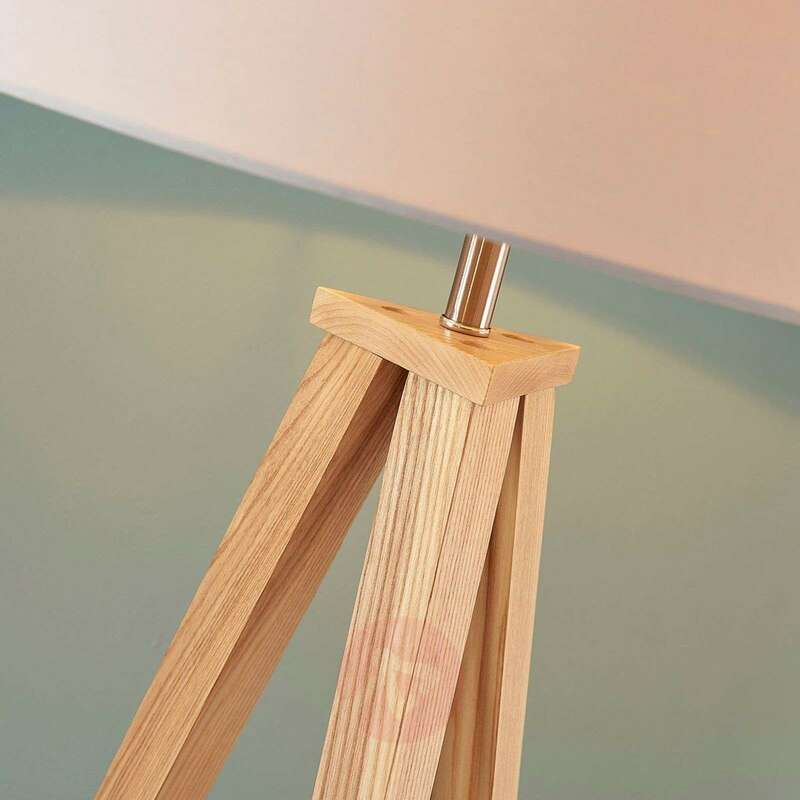 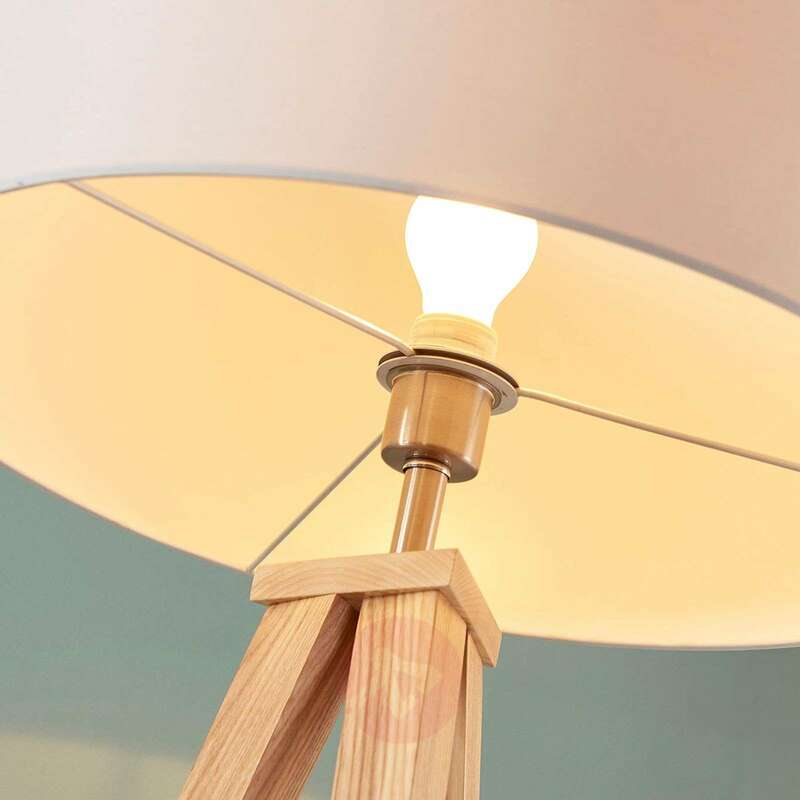 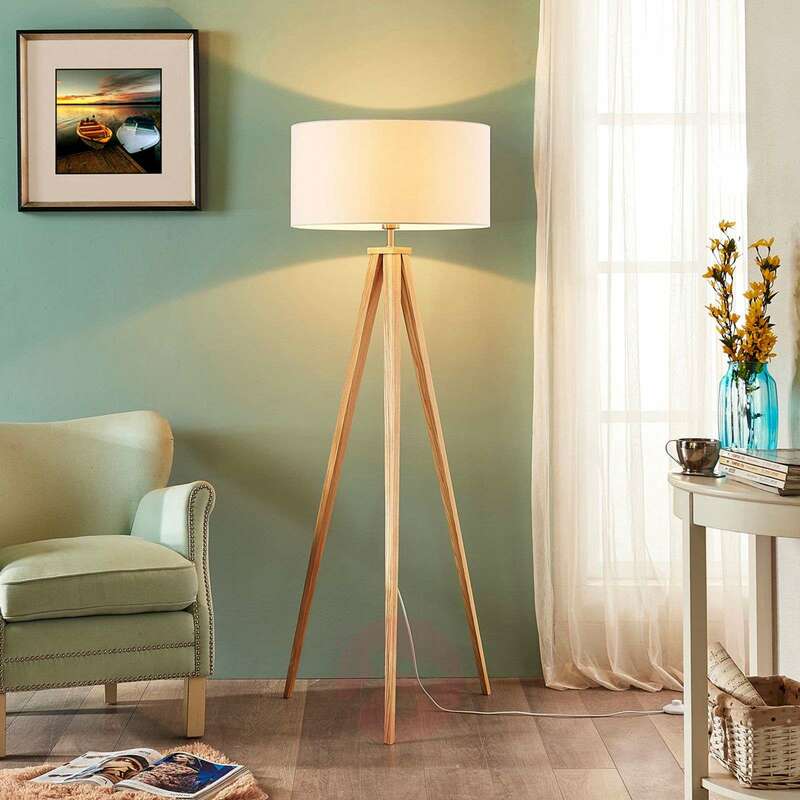 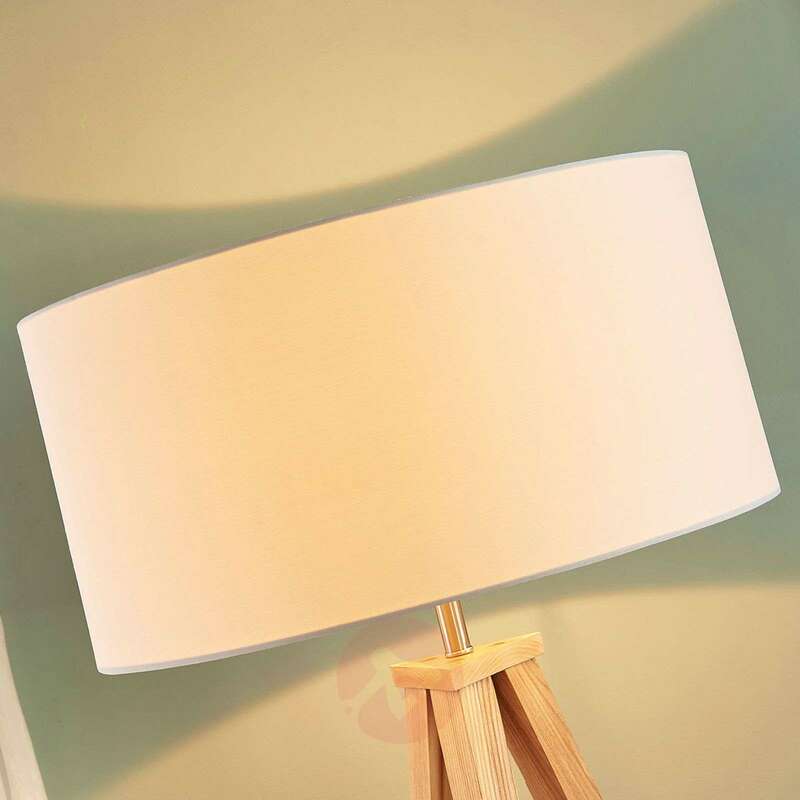 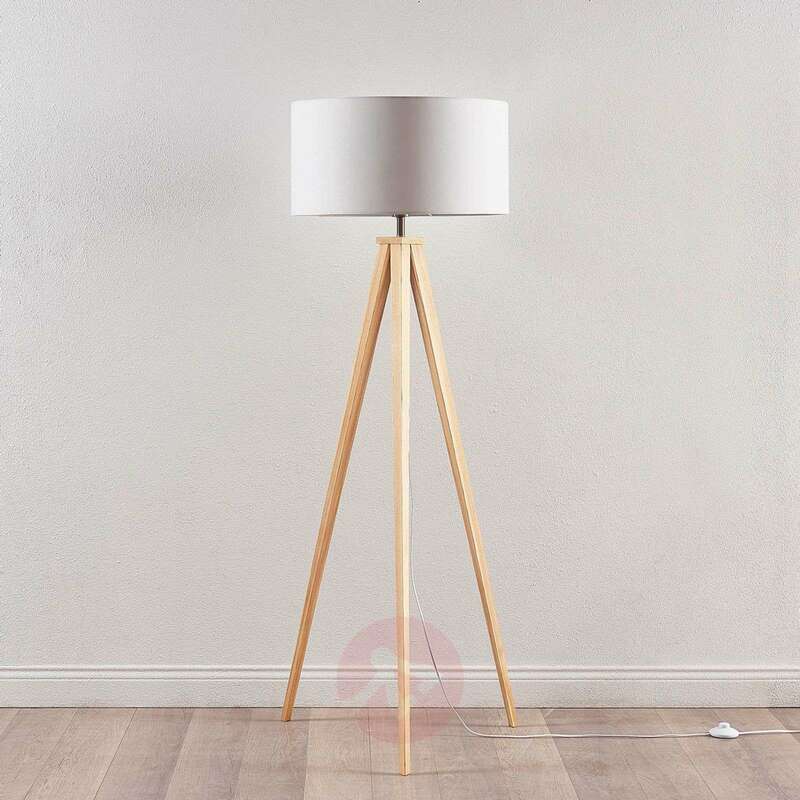 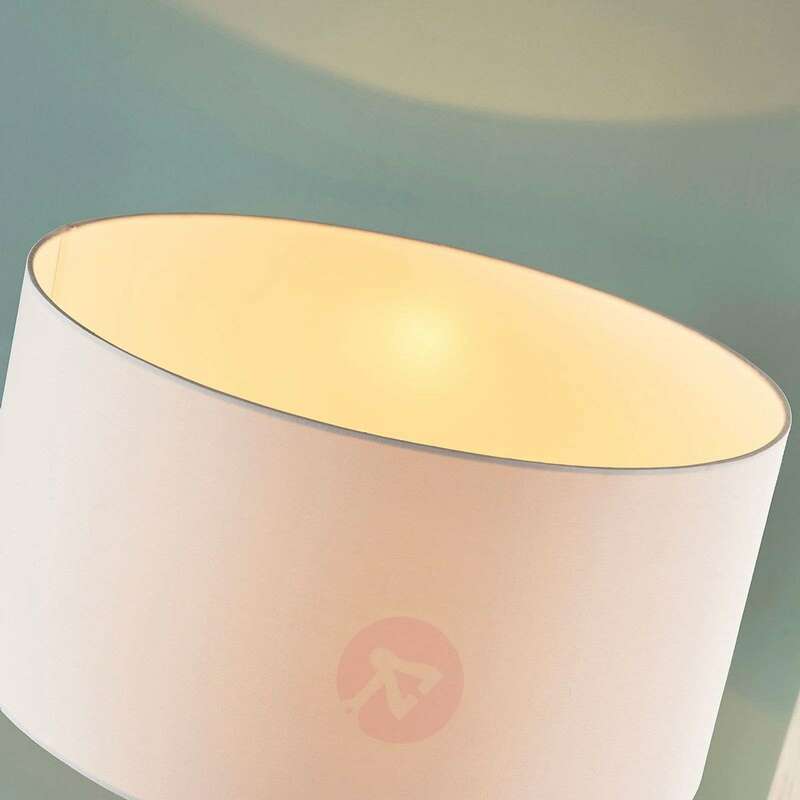 At the top of the wooden frame, there is a cylindrical white fabric lampshade which creates a cosy light, making the wooden floor lamp perfect for use for atmospheric accent lighting in the evening. 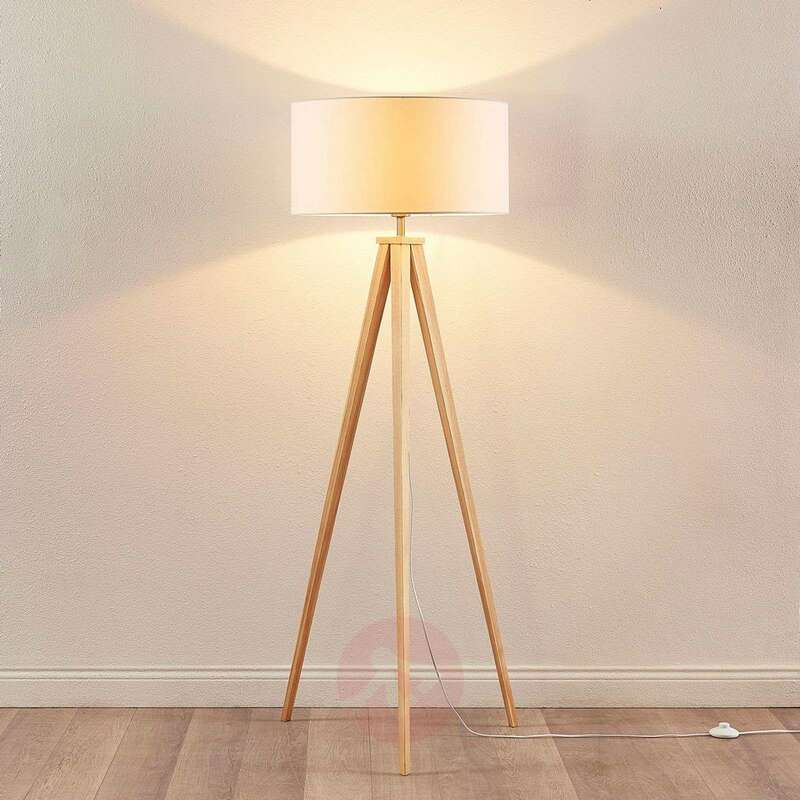 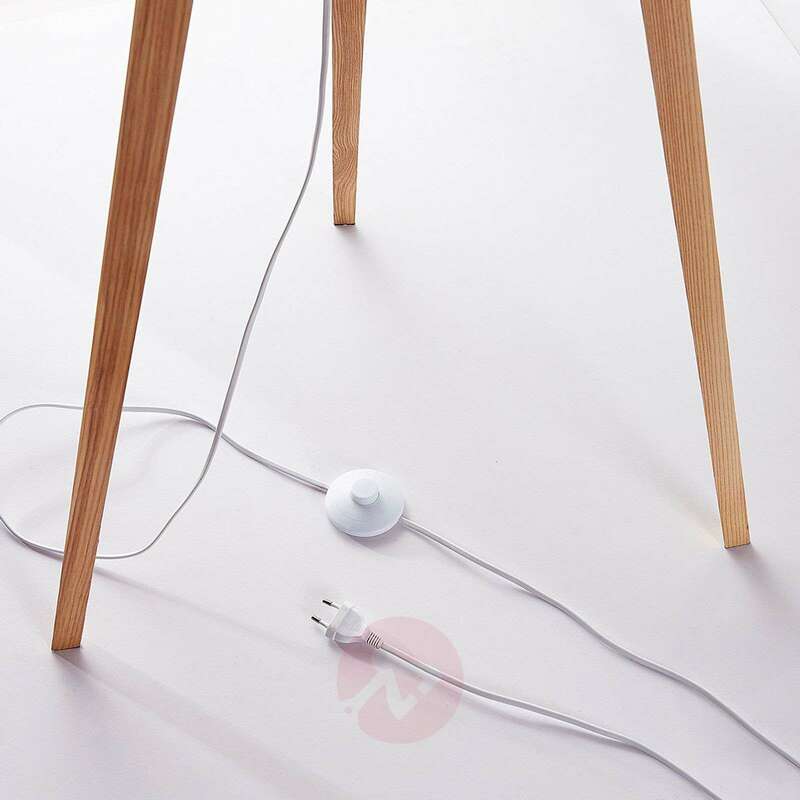 Mya is a fantastic addition to the home lighting and a wonderful decoration for country house styles with a modern orientation, in particular.